You want to keep the record of how many promises prime minister-designate Imran Khan has fulfilled after assuming the office? There is a website for it. 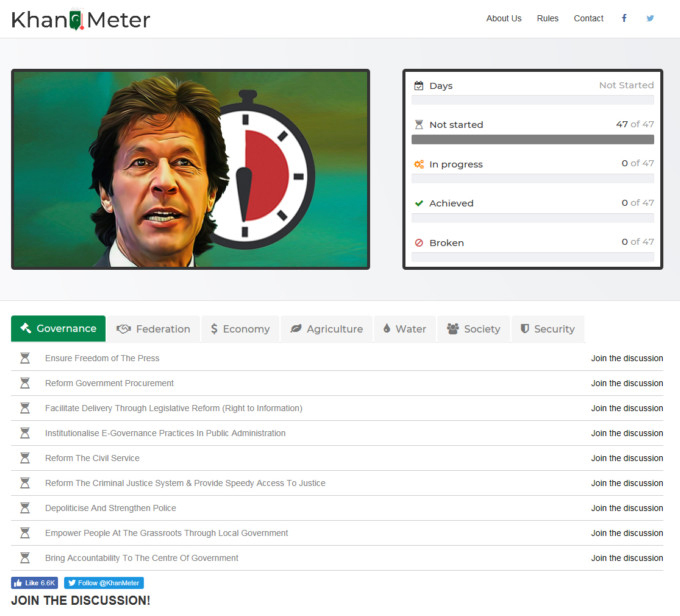 A Pakistani online marketer, Salman Saeed, has designed a website www.khanmeter.com that will track and record of PTI’s new government. 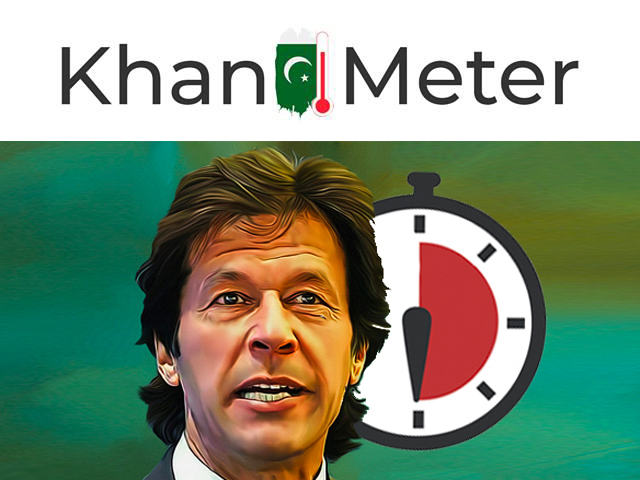 The website will keep the record of ‘fulfilled’ and ‘broken’ promises in the light of PTI’s 100-day plan that was unveiled a month before July 25 general elections. The PTI had pledged to complete its 100-day agenda, bring reforms in governance, economy, agriculture, water, security and other sectors after coming to power. Created along the lines of Obameter (to track Barack Obama’s promises), the website displays promises that are in progress and shows how much if those promises have been achieved. 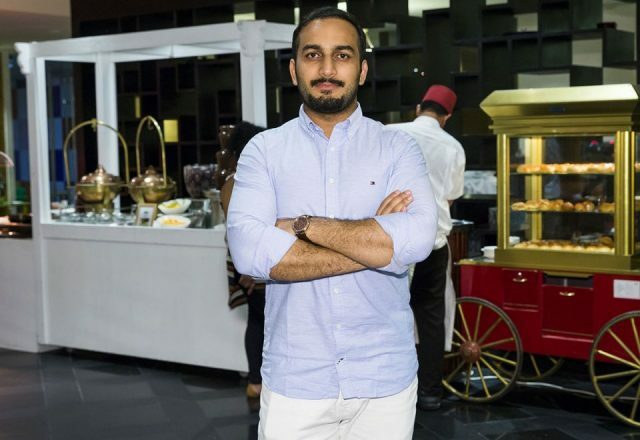 The website sports a discussion space in each section allowing users to discuss the PTI’s compliance.